An alternate title is "Mohsen's Sisters." 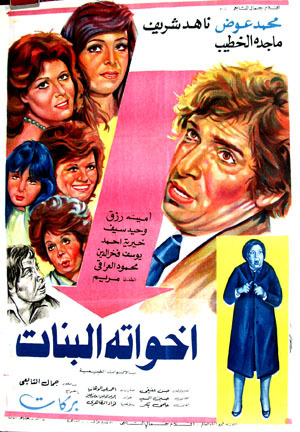 Plot Summary: Mohsen and his four sisters lived with their very conservative aunt. Mohsen allowed himself to flirt with the neighbor's daughter but he did not permit his sisters to have even a simple friendship with anyone. The four sisters joined in defiance against the will of their brother and aunt. The oldest loved the neighbor mechanic, the second loved popular dance, the third maintained a friendship with a colleague and the youngest was crazy about television; all of these things were forbidden by the brother and aunt. The battle raged between the old and modern and ended in triumph for the modern.